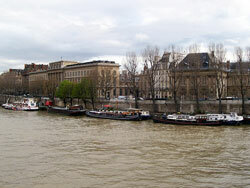 Wednesday was our last day in Paris… and we decided to take a walk along the Seine. 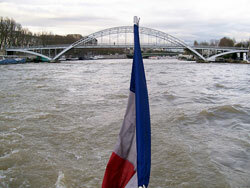 Paris is famous for its many bridges and the shore of the — pretty dirty — river are quite nice. 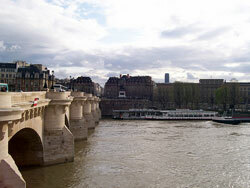 We even took the boat from St Germain, to the Louvre, the Champs-Élysés and the Eiffel Tower for more sightseeing. 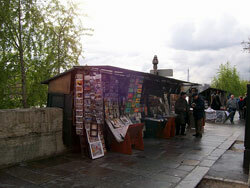 The Pont Neuf and the small shops (usually bookshops) along the Seine. I take it you’re well rested and no airport delays this time. You did not notice protesters camping out in the streets of Paris, along the St Martin Canal, or the building fronting the Bank of France? Anyway, they would have no place on this travel photo album you’ve been updating quite nicely since you left for France. By the way, what’s their impression of President Sarkozy and his new wife Carla Bruni? 🙂 –Durano, done! I’m never going to get to Paris. I’ll be lucky for another shot at Canada. 🙂 So enjoying the pictures! Oh well all good things come to an end they say… Still plenty of beautiful pictures to show for it right? You know it is good that your Zhuness takes such vivid pictures otherwise my world would be a much bleaker place visually:). And with those crumbs of wacky wisdom I leave your blogging kingdom once more your Zhuness!!! Great pictures as always! Welcome home! 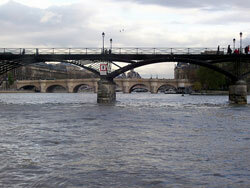 I like your Paris Seine pictures. 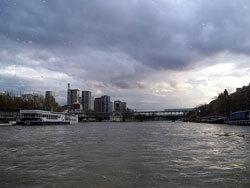 I guess most of the cities in Europe are centered around rivers, the Danube in Budapest, the Vltava in Prague, the Danube in Vienna again, the Thames in London, the Tiber in Rome, and the list goes on and on. And yes, those bodies of water have the boats that could ferry the tourists from Point A to B. So, is it back to reality and work for you? I know it had to be hard to leave family. I’m glad you made it back safely. Welcome home! See you in the immigration queue at the visa office? How do you feel to be back after what seems to be a good trip? Thank you for sharing such beautiful pictures. Welcome home Zhu! LOL, looking at the pictures from your igloo…I’m so sorry it is still so cold. Sending you some Georgia sunshine!! I enjoyed looking at your pictures! Tanya’s last blog post..Good Morning! Happy TGIF! Welcome home! Glad you fully enjoyed your vacations. Now you can print out some of these pics and pin them up on the walls of your igloo until it’s melted. 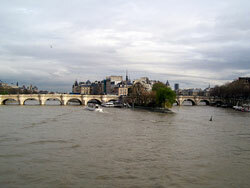 I always forget why Pont Neuf is special? Is it because it’s really old? Anyway, welcome back to Canada. Did you have a big bowl of poutine after all that crappy French food? Jemima’s last blog post..Life before Computers! @Ghosty – Don’t be pessimistic! Another last round of pictures is coming for you next week then. 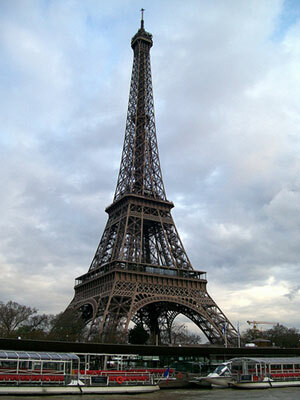 @deadpoolite – I’m sure I’ll be back to Paris so it’s a merry goodbye. Just wished the snow had melted a bit… that’s all! @Aiglee – Hope so — I don’t think I can take more snow! @Spyder – It was tough. It’s always tough. I’m sure you know what I mean… you live far away from yours as well. @kyh – Paris is quite unique. Love it or hate it, you have to go one day! @Beaverboosh – no mate, I’m legal and permanent now! No more queuing for me… Canada was nice enough to let me stay permanently! @Celine – Feels a bit weird… yet interesting. It will take me a few days to adapt to Canada again! You definitely have to go to Paris one day. Especially for a traveler like you! @JoAnn’s D Eyes Holland – Hey you! We almost could have met! 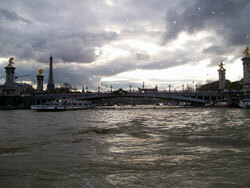 I know you went to Paris a few months again, I remember your pictures… they were great as well! Next time, Holland. Been there long time ago… I’d love to come back! @Tanya – Oh, think of me when you’ll eat your sandwich! 😉 Thanks for the sunshine… sun we have, it’s just so bloody cold here! @johnada – For now my in-laws are here so I’m just having a lot of rice. And eat with chopsticks. Glad I’m back to poutine land, as you say I couldn’t take more of that pain au chocolat thing! Yep, me too, WELCOME HOME! I’m such a twonk… I’ve been to India, Turkey, Iran, and yet altho I live just across the Channel I’ve never visited Paris! I’m making a resolution to visit this year, and if possible this Spring. Layne (aka Reward Rebel)’s last blog post..School Days ID Parade… Don’t Forget! Welcome back to Canada (I forgot to say this in my previous comment)! Do you miss Paris already?